Well Amanda and I had a good weekend. 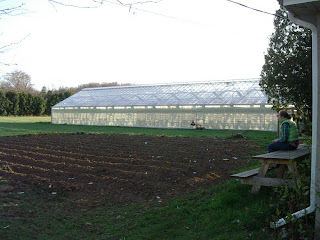 We managed to get our first plantings of beets and peas in the ground (yes I know we are late on both), and hopefully things in the field will start growing soon. 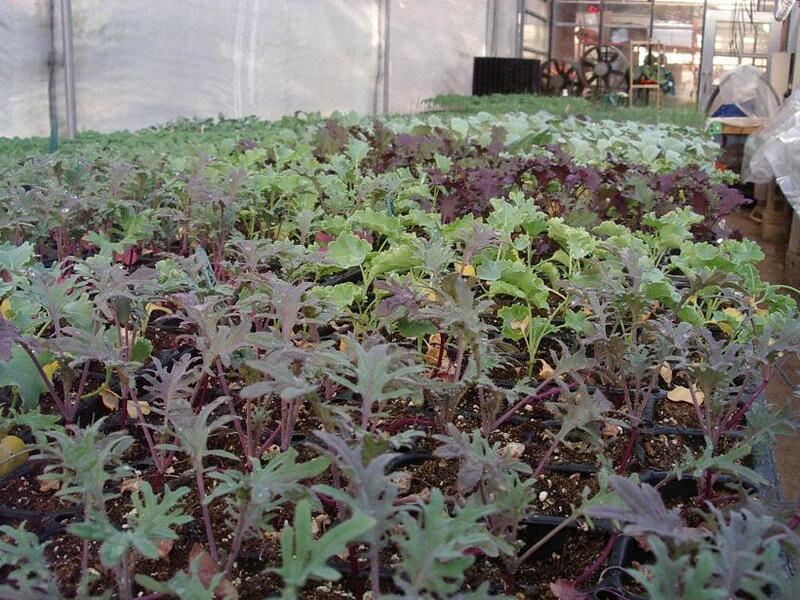 We are now entering the transition time when things start to get seeded outdoors as well as a few more things indoors and starting next weekend some of our transplants will start going outdoors as well (kale, cabbage). 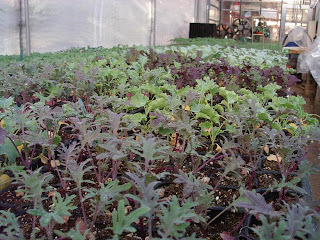 Things in the greenhouse are growing really well. We have had great success this year with most of our transplants save only a couple of things that seemed to refuse to grow. 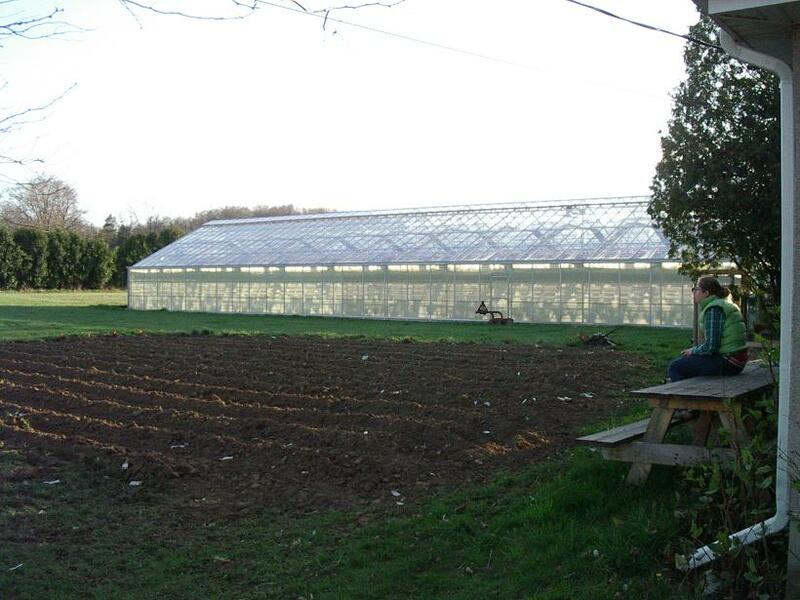 It is really neat to walk in to the greenhouse and see all the plans lined up on the bench. Makes one really excited for the new season. Most days you can see an incredible difference in size from the day before when you get the optimal temperature/sunlight. 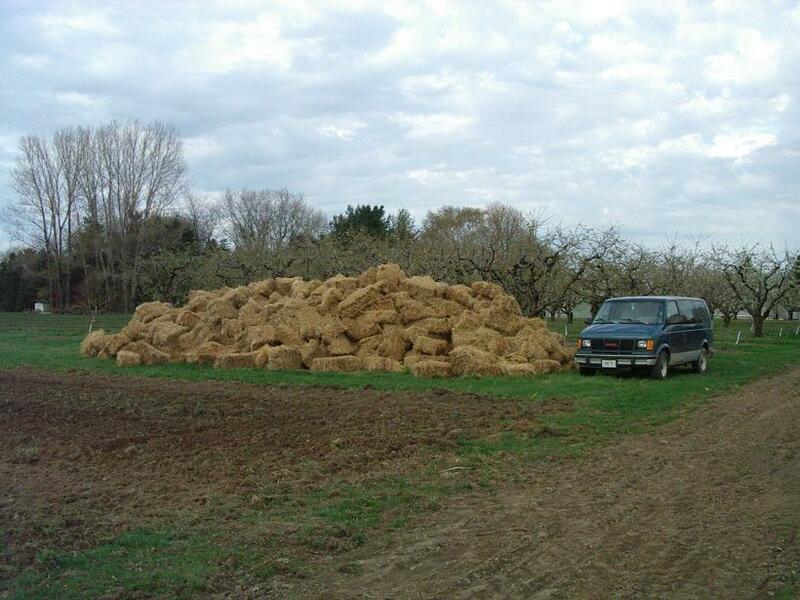 Here is the hay mountain we built last weekend from all the hay we picked up near Wainfleet. There is quite a bit there (about 350 bales), but was a bit less than we had hoped for. Not a big deal though, and we are always happy for anything we can get. We were able to get the market garden at home worked up as well. We use this space as a small addition to our main market garden over in Jordan and were able to plant our beets here this year. The last four rows at the end are the first planting of beets and will get at least one more planting in the ground, if not two. We would like to present lambaroo, our second lamb of the season/our farming experience. 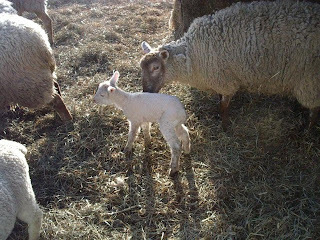 While the lamb is not really a surprise as we were expecting lambs any day now with since the expected first due date is this coming Friday, the surprise was the ewe which had the lamb. Muncher, as named by my cousin, was the ewe which had never been marked (presumably now because she was bred just before I got the marker, and who I was unsure if she was even pregnant or not because she was always so small. 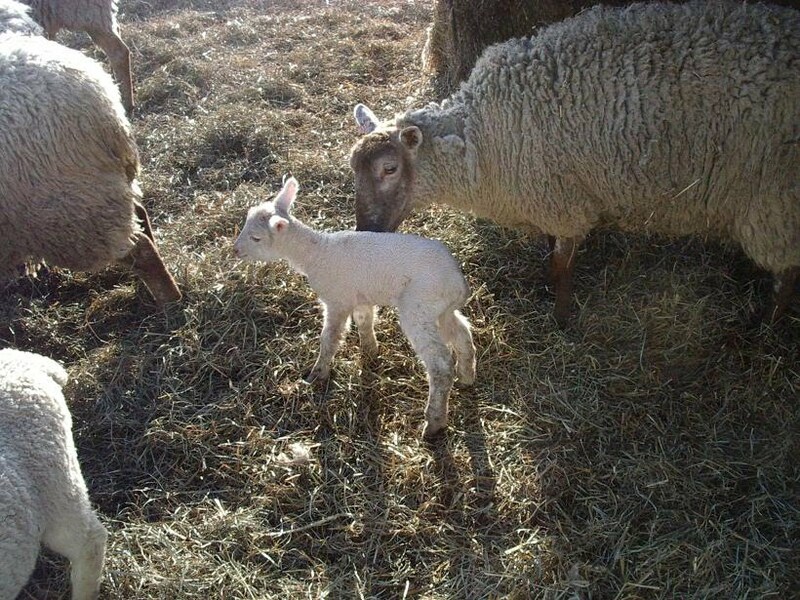 Needless to say we are very excited to see another lamb and looks as if mom and baby have bonded well. That is all for now, but keep checking back for more lamb pictures (I know Amanda will be all over that) and for more lambs as we have three more ewes due in the next two weeks. I like it with no "C"
What if you nestled "reek" up into the stylized "C" a bit closer?